Rudy Giuliani attributes his use of gun control to bring the crime rate in New York way, way down, from the highest crime rate in the country to the safest large city in the country. The more guns he took off the street, the lower the crime rate. I’m not suggesting that means we need to ban all guns, but it certainly contradicts the idea that more guns makes for a safer country. We already have more guns per person by far, than any other nation in the world, and a gun homicide rate that is on average, 20 times higher than other developed nations. If your assertion was correct, we’d have the lowest gun homicide rate in the world. So the media aren’t the only ones who are baffled by your specious conclusions. You also make a dangerous assumption that correlation equals causation. 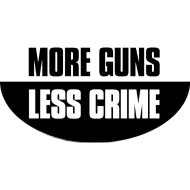 There is no proof of your claims, of a causal link between more guns and fewer crimes, and until you ask criminals and they answer overwhelmingly that they aren’t committing crimes because they fear that civilians are armed, your entire argument is on thin ice. The facts simply don’t support your conclusions without cherry-picking the hell out of the research. Britain was once a safe place. But decades of gun bans and enforced victimhood has made it shockingly bad. Face-to-face violent crime is now 133% higher per capita in the UK than the US. A startling 26% of Britons are victims of crime each year. 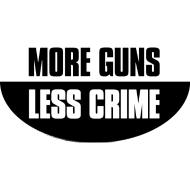 And in the US,criminals, in order to avoid armed citizens, have increased car and unoccupied home thefts to compensate. Gun control has NEVER been about reducing crime, but about the disenfranchisement of free human beings. Crime is simply the canard, the cover story, the scam used by people who want to enslave us. The idea of ordinary human beings freely pursuing their own interests is abhorrent to them. They want a world full of people who are controlled. As Mao famously said, political power comes from the barrel of a gun. When ordinary people have the individual power to resist tyranny and to deal death to would-be tyrants, they are impossible to enslave. The most you can do is kill them, which is beyond the grasp of would-be tyrants until after they’ve established their tyranny. The right to keep and bear arms is nothing less than the last best defense of liberty and justice in this world. Hence the reason the left is so keen on taking guns away. Those who would disarm you are the same as those who would disenfranchise you. Do not be fooled. The malfeasant media has become so far detached from reality, they may as well be aliens from another planet. Which is why we’re past the whole “reasoned debate” and “peaceful resolution” in this country. brian. @Brian has got it right on the nail. They believe, which means they have not checked out its truth for themselves. Notice that the word believe – be-lie-ve contains the word “lie”! Believers are always deceived because there’s no inner power in believing. They’re just insisting they’re right, despite all the evidence to the contrary – aka being right. Definitely looks like they’re trying to dodge reality on this one. Whenever you point out that common-sense conclusion to someone who has always believed otherwise, their response usually relies on emotion and something like faith. They just KNOW that things can’t be so.